Last Thursday was my last day working at the lab. Federal funding for the USDA New England Plant, Soil & Water Laboratory got cut, so it’ll be shutting down as soon as the government finds alternative jobs to offer all the workers there (student workers like myself got done this week). Unfortunately, there aren’t any other similar jobs in Maine, so if they’re going to accept the transfers offered to them they’ll probably end up moving halfway across the country. The worst part is that the funding was cut because it was identified as an earmark, and it was identified as an earmark only due to a technicality. While I’ll miss the $10.50/hour pay, I pretty well off financially, and mostly I’m just sad to loose a job at such a nice place. 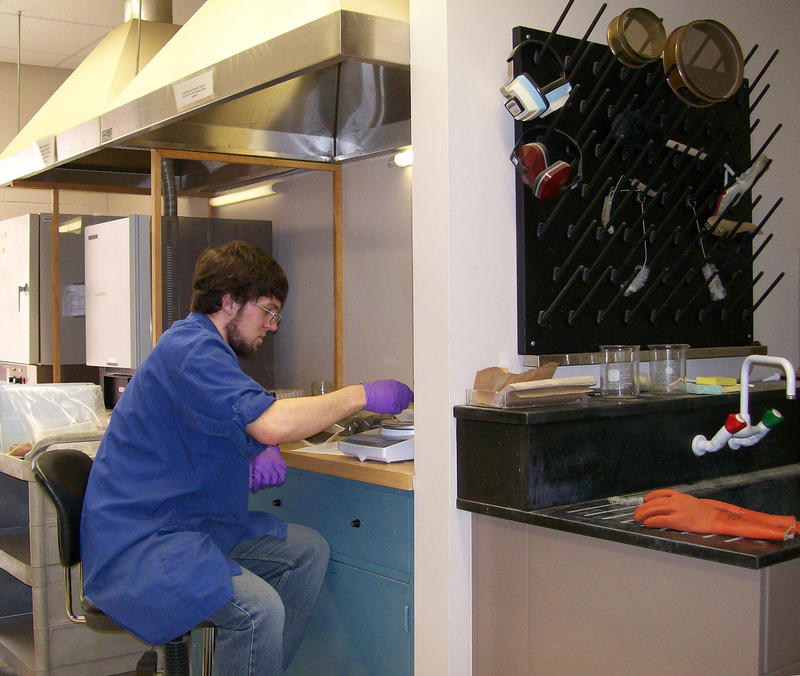 I got to do some pretty interesting work there: the work itself was menial – washing test tubes, mixing solutions, plating soil samples on petri dishes – but there was a variety of things to be done so they never got to boring, and it was lab work so I got to be a part of Science. The people there were all nice and good company, too, which is always a plus. I’d worked there for just under four year, and it’s a little sad to be done there. The position I had was a student position, and I’d hoped to stay there until I graduated. If I can find a job that’s half as good as this one (particularly in terms of pay) I’ll consider myself lucky. Weighing soil samples from our experimental potato fields in Presque Isle into test tubes for fatty acid extraction, which identifies some of the microorganisms living in the soil.